SCE employees delivered more than $20,000 worth of toys for foster children to the McKinley Children's Center in San Dimas. SCE linemen Brad Alvarado and Ken West stop for a selfie after delivering more than $20,000 worth of toys for foster children to the McKinley Children's Center. SCE employees unload more than $20,000 worth of toys for foster children to the McKinley Children's Center in San Dimas. 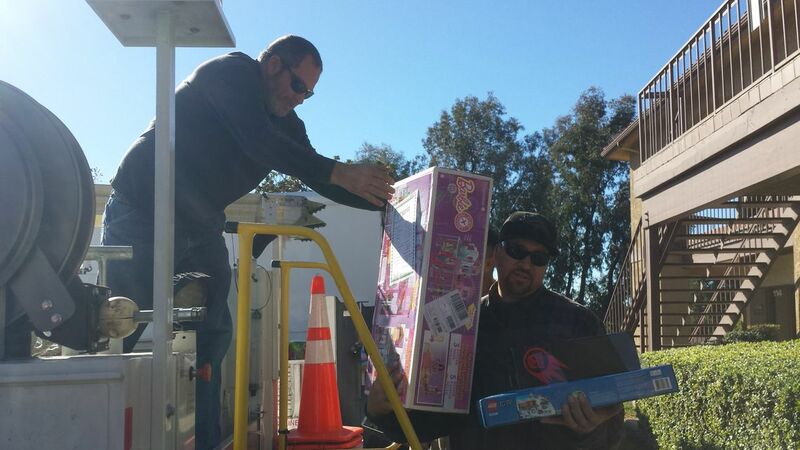 SCE crews loaded donated toys into waiting trucks at the McKinley Children's Center in San Dimas. 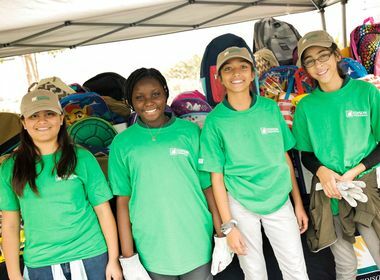 The holiday season is upon us and Southern California Edison employees want to power a little extra joy for those in need. So crews and staff from several SCE locations, including the Covina and Ontario Service Centers and Pomona Innovation Village office, adopted foster children holiday wish lists and made special deliveries to help brighten the holidays. More than 200 employees from SCE’s Covina Service Center and Pomona Innovation Village office adopted 235 foster children wish lists from the McKinley Children’s Center in San Dimas. The employees collected more than $20,000 worth of toys. “For a lot of our kids, this will be the first time they have a toy or gift under the tree they get to open on Christmas Day, and the generosity of Edison has really made a lot of dreams come true this year,” said Anil Vadaparty, CEO of McKinley Children’s Center. A second toy drive led by employees at SCE’s Ontario Service Center adopted 142 foster children wish lists from the Specialized Care Foster Family Agency in Rancho Cucamonga. More than 60 employees collected about $25,000 in toys, teddy bears, duffle bags and backpacks. 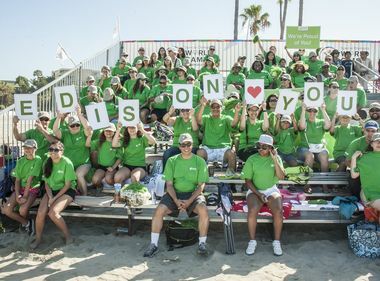 “It was beyond magical seeing the generosity of our crews that helped fulfill wishes. 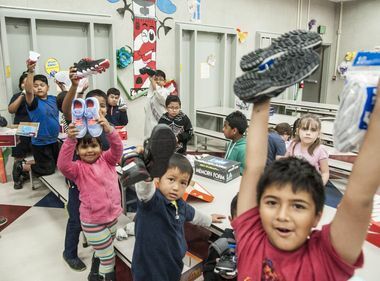 It will be a Christmas miracle for these kids,” said Lori Entzel, an SCE employee giving representative and toy drive organizer in Ontario. Powering joy and happiness this season. Happy holidays.